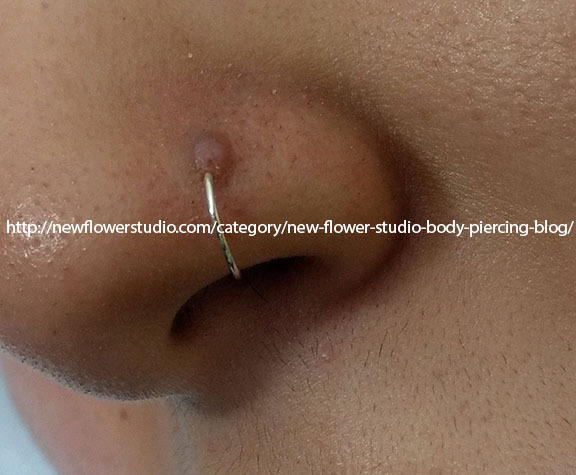 New Flower Studio's Blog for Body Piercing Information. What’s in a body piercing blog? 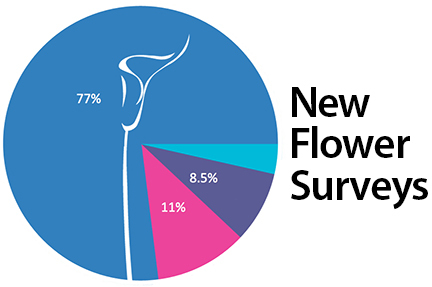 Thanks for checking out the New Flower Studio body piercing blog. 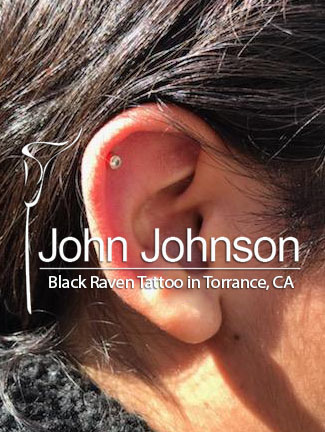 We take piercing seriously and you’ll find many of our posts to be informative. 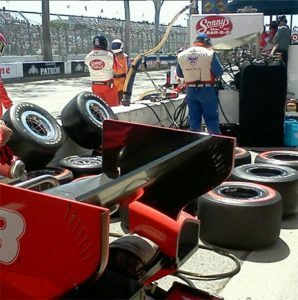 But it’s also an easy and quick way to see what’s happening in our Long Beach studio. We take great care in selecting our jewelry and our showroom is always evolving. 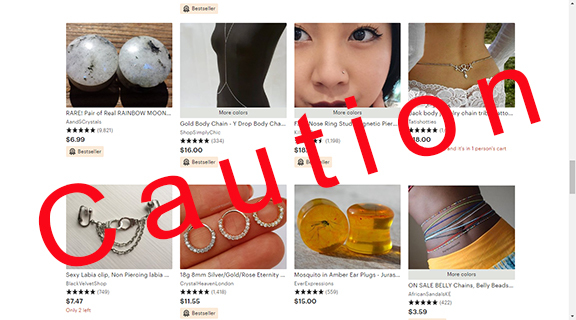 You can expect to find the most inspiring body jewelry here. We also like to have fun too, so we hope you enjoy seeing the piercing industry through our eyes as you click through our posts. Healthcare professionals can learn more here. Body piercing is very fashionable today. Once, not long ago, piercings and tattoos would be something you’d expect to see on the villain in a movie. 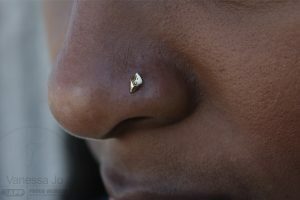 Today however, internet bloggers and news sources feature piercing related stories regularly. Often though, they’re written with very little research and experience with piercing. Piercers, like us, see websites and Youtube videos all the time with some suggestion or idea that we can only laugh at or be frustrated by. The best example is the unfortunate internet phenomenon of the Daith piercing. 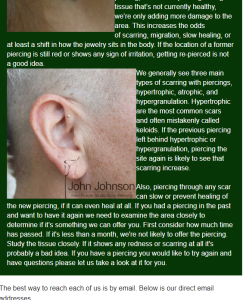 We hope that you find our piercing information to be both interesting and useful. In the early days of the internet, BME was the only real outlet for piercers to communicate with each other (and enthusiasts). In the early and mid 1990’s piercing wasn’t disconnected from the body modification scene like it is today. Like tattooing, piercing now is considered a discipline of it’s own. 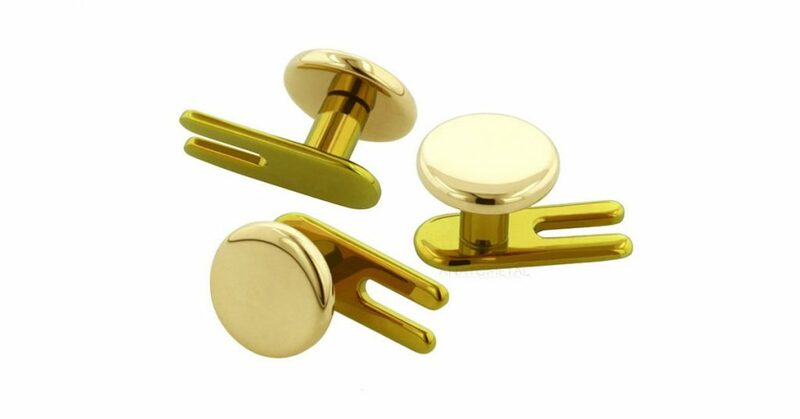 This means that the majority of legitimate piercing information comes from respected and experienced piercers. So use caution when choosing your source(s) of body piercing information. Today there’s a lot of people writing about piercing, but many authors are writing about a topic they don’t fully understand. What Happens if My Body Piercing Jewelry Falls Out?